1. Strange Magnetic Field. The Moon has no magnetic field itself, so imagine how strange it is that the rocks found on its surface are actually magnetized. It is not connected with the proximity of the Moon to the Earth. 2. The Age of the Moon. The Moon is quite an old satellite, even older than we've thought. There is a probability that it is older than both the Moon and the Sun. The Earth's fossils are approximately more than 4.5 billion years old, while the soil from the Moon is estimated like more than 5.3 billion years old, and there are other reasons to suppose that the Moon rocks are even older, as the dust of the Moon is being investigated. 3. Water on the Moon: Back in 1971, on March, the equipment on the Moon indicated that the water vapor was moving over the Moon's surface. This vapor cloud was in the vaporized condition for approximately fourteen hours and had the area of coverage like 100mi2. 4. The Roots of the Rock. 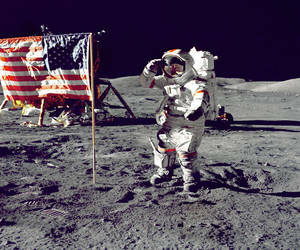 The dust on the Moon's surface is different from the content of the rocks found on the Moon. There is a theory that the rocks changed due to the time, conditions and destructions through the time which is doubtful. However, another theory that these rocks could have been brought from another place is way more probable. 5. Heavier Outside. Usually, every planet has a heavy core and lighter structure on the surface. When it comes to the Moon the things are vice versa. 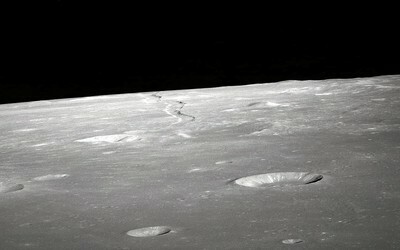 The moon’s surface is considerably harder than assumed. The crates on the Moon could be not only due to external damages, but also through internal ones. However, the origin of internal craters is doubtful, as there is no approved evidence that the Moon has or had ever had high temperature inside to create craters. 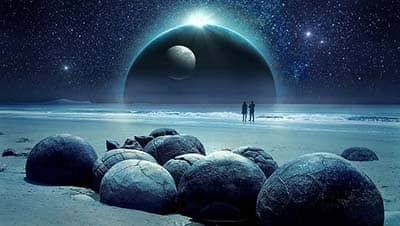 One of the most amazing theories that has no facts that can beat it is that the Moon is the huge spacecraft from unknown places brought here and left by other intelligent creatures, as it can explain such position of the Moon in relation to the Sun and its perfect Earth orbit.